This week I have mostly been getting… Blood Bowl! That’s right folks, weekly tally is coming early this week. Top left are an old militia man and the Travelling Players strongman. Next to him, a skaven catcher who I actually didn’t need so he’s up for sale. I got seven snotling players, for the Warhawks and the Grey Shadows (mirror teams with orcs and humans + ogres and snotlings). Speaking of ogres, there’s a Bob Olley ogre which I allready own one of. He’s needed for the Warhawks too. The halflings are joining the Doom Forgers (and they will probably be the first team I paint up). Bottom row is the big ol’ minotaur star player, as well as an elf and a dark elf star player. The minotaur goes in my 3rd edition chaos team while the elf starplayers goes in the lead pile. 17 new models this week. This week I have mostly been getting… a plethora! 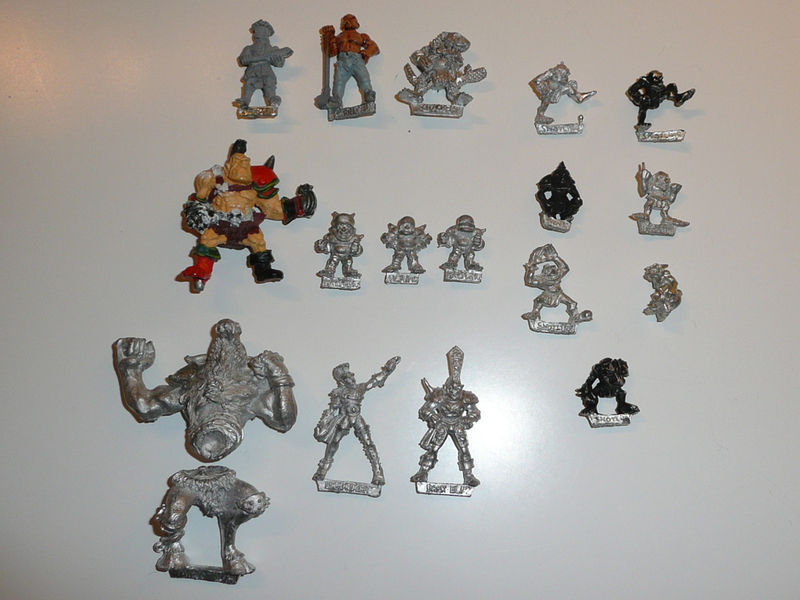 This week I have mostly been getting… more Blood Bowl!